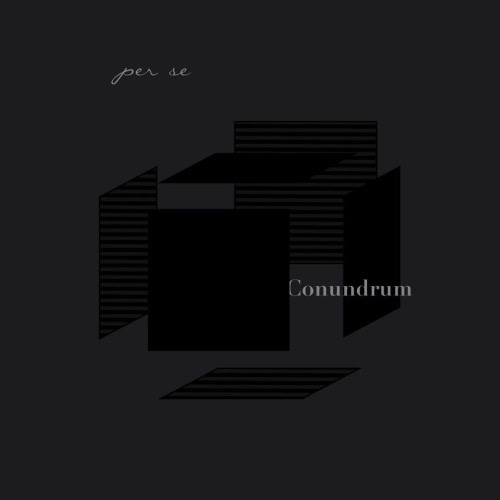 Following their debut EP release in 2013, Per Se are back with a new EP/mini-concept album ‘Conundrum’. The latest release sees a handful of classic pop/rock tracks, with a few interesting ideas thrown in for good measure. Opener ‘Who?’ begins with the soft folky fingerpicking of an acoustic guitar, followed by the introduction of a gentle, bright piano soon after. Lead singer Stephen Mok shows a soft whispered vocal, delivered in a similar way to Will South of Thirteen Senses, before expansive synths pave way for the chorus in the vein of A Silent Film. From here, ‘Who?’ continues to build with a dry, fat snare, string pad stabs, and splashing cymbals for added grandeur in the final chorus. A subtle modulation over the mid-section phrase “who have I become?” showcases some neat production tricks, before returning to the sweet sounding acoustic guitar heard in the beginning. ‘How To Be Alive’ includes lush Cherry Ghost style string arrangements by Derek Mok over a minimal electric kit, while the guitar chords strum softly like 90’s classic ‘Torn’ by Natalie Imbruglia. Whilst similar instrumentally to ‘Who?’, the string arrangements, and call and response nature of Stephen Mok and Sandy Ip’s vocals certainly mark a step up in their songwriting capabilities. A reverby vocal marries nicely with the string solo, and again, the song concludes nicely. ‘Fragments’ contains a 6/8 rhythm, and a feel similar to Goo Goo Dolls classic ‘Iris’. Derek Mok lends his hand to string arrangements again beautifully, and Ip’s piano line has a strong resemblance to Vanessa Carlton. The strings flourish in the mid-section, providing another highlight on this record. ‘I Was Right Again’ and ‘unSWEET deadBEAT’ take a more experimental turn for the band however, with key changes, slightly gothic Honky Tonk piano work, and an Erhu solo in the former, giving an unpredictability often found in prog music. On the other hand, ‘unSWEET deadBEAT’ has more of a country swing/Supertramp vibe, staccato baroque-sounding synths and faint elements of Pablo Honey-era Radiohead. 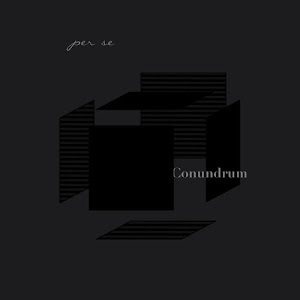 Whilst interesting, neither song feels completely comfortable like other tracks on ‘Conundrum’. The heaviest part for the record however has been saved for closer ‘The Mist’. Vocals and snares drenched in reverb, crashing cymbals, sweeping strings and distorted tremolo guitar work almost make you forget the simplistic and sad arpeggiated piano part and romantic strings at the beginning. Mok is even stretching his vocals to the limit by entering a register not heard previously. Whilst a couple of tracks sounded like a far reach for Per Se, ‘This Mist’ seems to show them covering new ground whilst still retaining that Longview soft-rock sound that has made them popular with fans, old and new.